Abilify, more commonly known as Aripiprazole. Anten, more commonly known as Doxepin Hydrochloride. 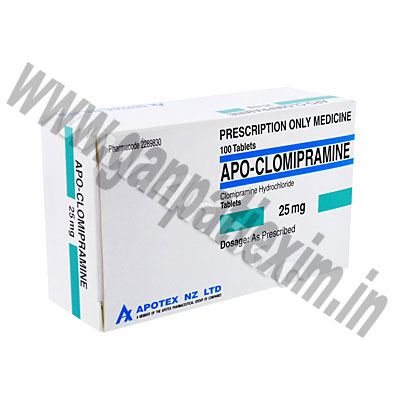 Apo-Clomipramine, more commonly known as Clomipramine Hydrochloride. Apo-Selegiline, more commonly known as Selegiline. 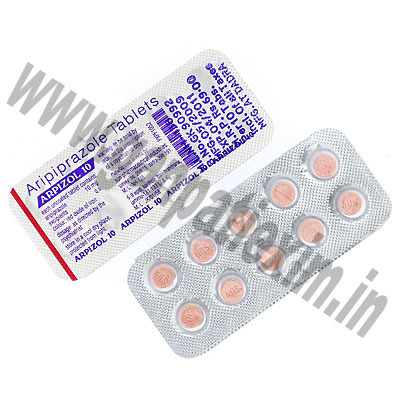 ARPIZOL 10, more commonly known as ARIPIPRAZOLE. 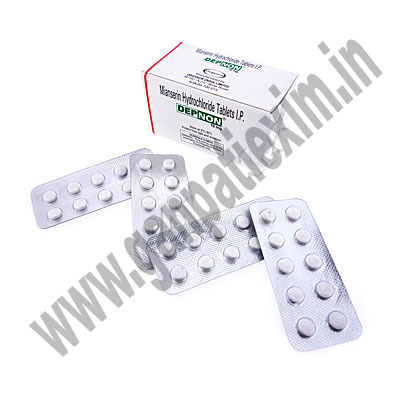 Bupron SR is an antidepressant, or mood elevator, used to treat depression. 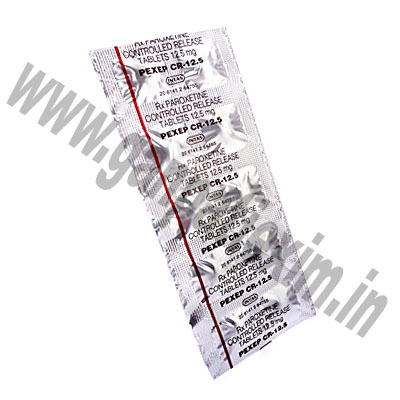 It is also used to treat nicotine dependency to help people quit smoking. This medication works by balancing the neurotransmitters, or chemical messengers in the brain. This results in more serotonin and dopamine. 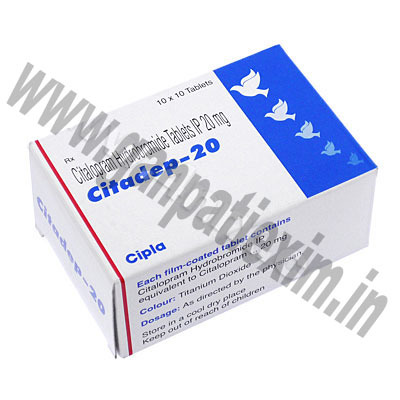 Citadep (Citalopram Hydrobromide) is used to treat depression. Citadep helps to restore the brain\\\'s chemical balance by increasing the supply of a substance in the brain called serotonin. 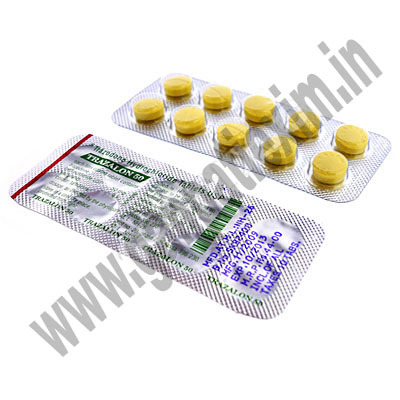 Citadep is an antidepressant that is a member of the family of drugs known as selective serotonin reuptake inhibitors (SSRIs). Citadep appears to relieve depression by increasing serotonin levels in the brain, without affecting many of the other chemicals in the brain that influence mood. 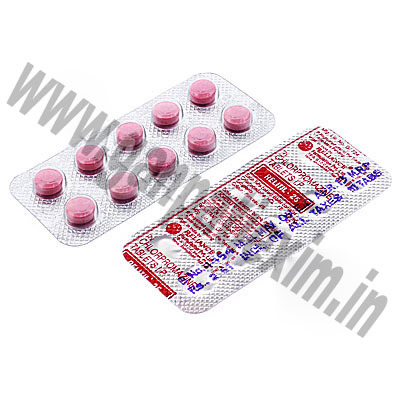 Citalopram, more commonly known as Citalopram Hydrobromide. Depnon (Mianserin Hydrochloride) works by preventing noradrenaline from being reabsorbed back into the nerve cells in the brain. It may also block certain receptors in the brain that bind released serotonin. This helps prolong the mood lightening effect of any released noradrenaline and serotonin. In this way, mianserin helps relieve depression. 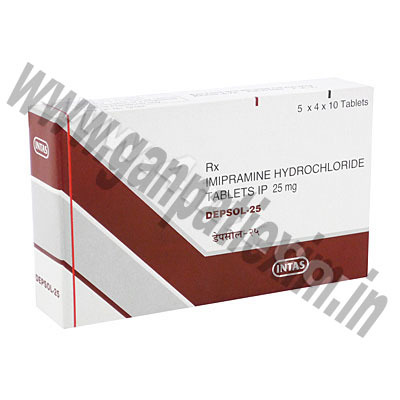 Depsol (Imipramine Hydrochloride) is in a class of drugs called tricyclic antidepressants. Some doctors also prescribe Depsol to treat bulimia, attention deficit disorder in children, obsessive-compulsive disorder, and panic disorder. Dopress, more commonly known as Dothiepin Hydrochloride. 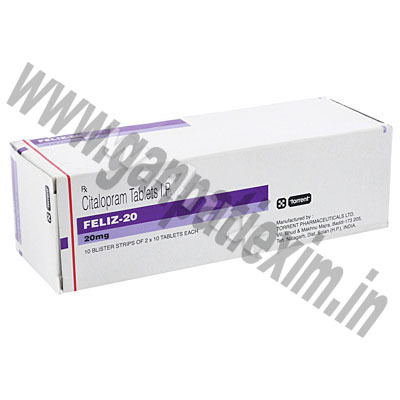 Feliz (Citalopram Hydrobromide) is an antidepressant used to treat the symptoms of depression and other mood disorders. Feliz works in the same way as with blocking the serotonin uptake in the brain. Feliz S (Escitalopram Oxalate) is an antidepressant used to treat the symptoms of depression and other mood disorders. It works in the same way as with blocking the serotonin uptake in the brain. 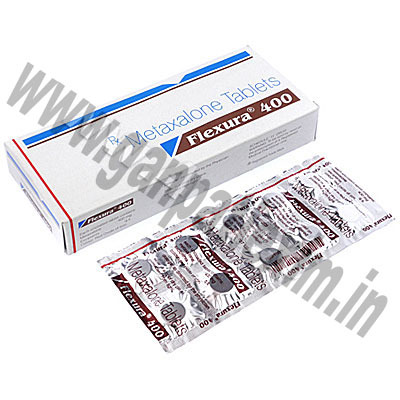 Flexura (Metaxalone) is used to relax various muscles in your body to relieve acute bone and muscle conditions. It works via the central nervous system. 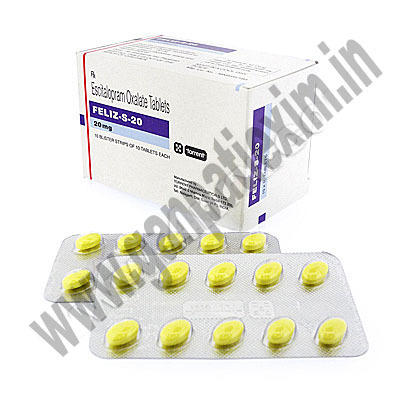 Fluvoxin (Fluvoxamine) is an antidepressant in a group of drugs called selective serotonin reuptake inhibitors. Fluvoxin (Fluvoxamine) affects chemicals in the brain that may become unbalanced and cause obsessive-compulsive symptoms. 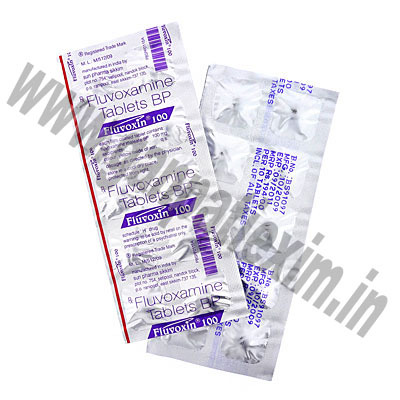 Fluvoxin (Fluvoxamine) is used to treat obsessive-compulsive disorders involving recurring thoughts or actions. 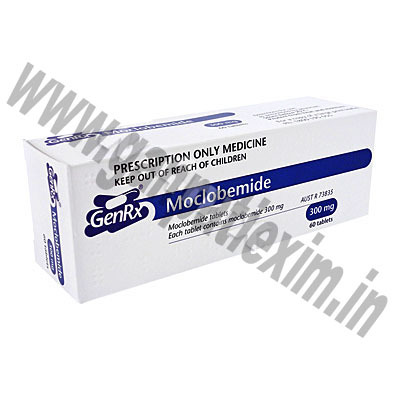 GenRx Moclobemide, more commonly known as Moclobemide. Lithosun (Lithium Carbonate) has been widely used for over 20 years. It is highly effective in preventing attacks of depression or mania, by stabilising your chemistry. 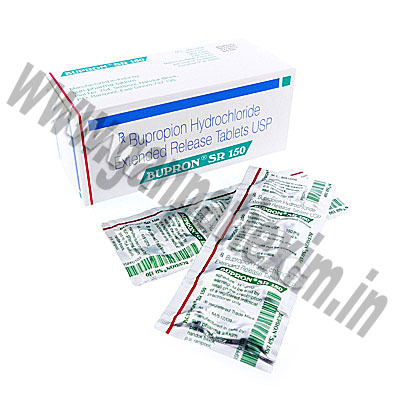 Lithosun (Lithium Carbonate) is a salt, and not a sedative or tranquilliser. Lithosun (Lithium Carbonate) is not addictive, and is intended to be taken even when you are well, to keep you well. Lithosun (Lithium Carbonate) also makes antidepressants work more effectively in some cases. 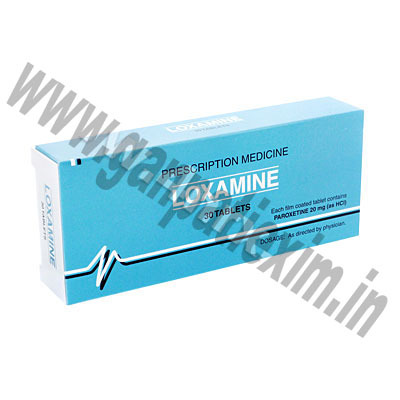 Loxamine, more commonly known as Paroxetine Hydrochloride. 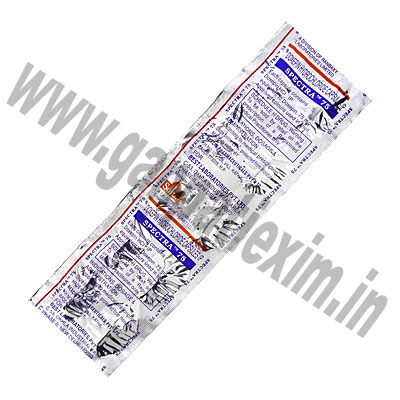 Milnace (Milnacipran) is a psychoactive drug which functions as a serotonin-norepinephrine reuptake inhibitor (SNRI). It is used for the treatment of depression. 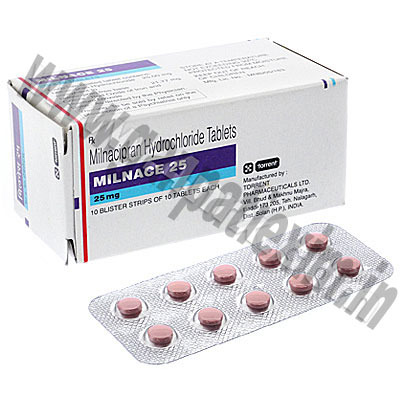 Mirtaz (Mirtazapine) is prescribed for the treatment of major depression. Mirtaz (Mirtazapine) is thought to work by adjusting the balance of the brain\\\'s natural chemical messengers, especially norepinephrine and serotonin. Nozinan Injection, more commonly known as Methotrimeprazine. Nozinan Veractil, more commonly known as Methotrimeprazine. 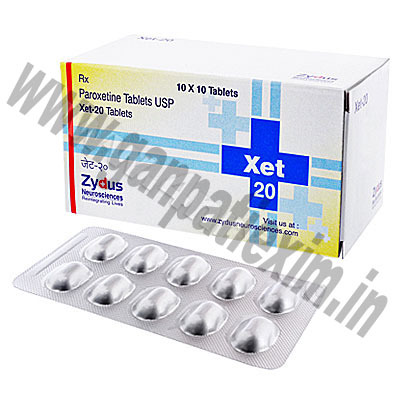 Pexep CR (Paroxetine) is used to treat depression, obsessive-compulsive disorders, panic attacks, social anxiety disorder, generalized anxiety disorder, and posttraumatic stress disorder. As Pexep CR (Paroxetine) is a SSRI like Prozac, with continued treatment, it can help restore the balance of serotonin (a naturally occurring brain chemical) - which helps reduce the symptoms of anxiety and depression. Priadel, more commonly known as Lithium carbonate. 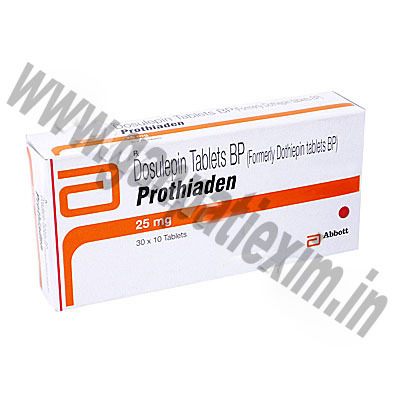 Prothiaden (Dothiepin) belongs to group o medicines known as tricyclic antidepressants. Prothiaden (Dothiepin) is used to treat depression, especially when the patient is experiencing difficulty sleeping and a loss of appetite. 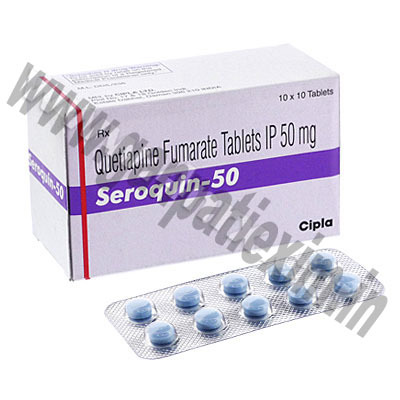 Quetapel, more commonly known as Quetiapine Fumarate. Relitil, more commonly known as Chlorpromazine. 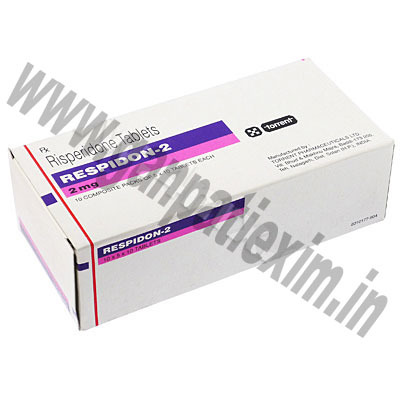 Respidon (Risperidone) is used in the treatment of the symptoms of schizophrenia and is a first-line medication for treating people with this illness. 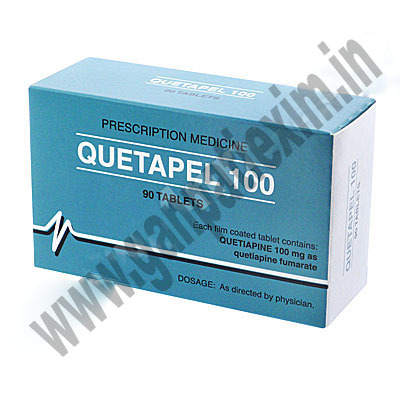 Risperdal Quicklet, more commonly known as Risperidone. 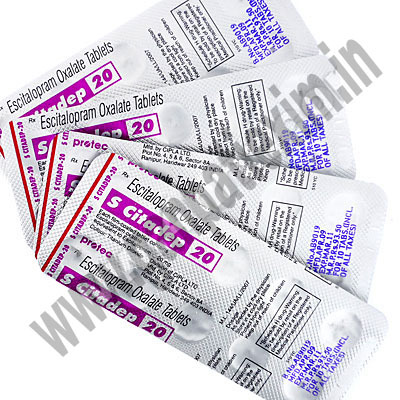 S Citadep (Escitalopram) is an antidepressant used to treat the symptoms of depression and other mood disorders. S Citadep (Escitalopram) works in the same way as with blocking the serotonin uptake in the brain. Solian, more commonly known as Amisulpride. Spectra (Doxepin) is a dibenzoxepine tricyclic antidepressant with actions and uses similar to those of amitriptyline. It has moderate antimuscarinic and marked sedative properties and has serotonin reuptake inhibitor activity. Stablon (Tianeptine) is a serotonin reuptake accelerator. 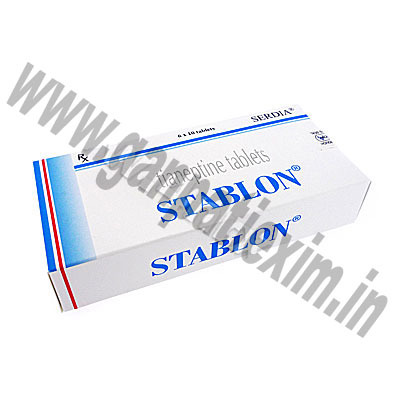 Stablon (Tianeptine) may be prescribed for: neurotic or reactive states of depression; angiodepressive states with somatic complaints such as digestive problems or; angiodepressive states observed in the alcoholic undergoing detoxification. 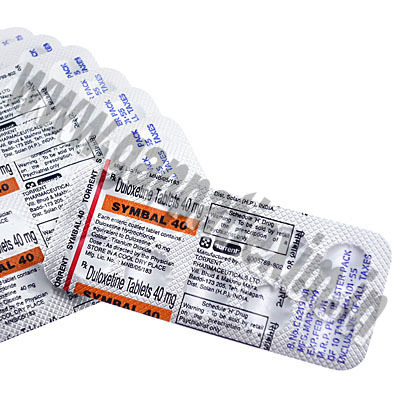 Symbal (Duloxetine) is a dual selective serotonin and norepinephrine reuptake inhibitor (SSNRI) for the treatment of depression. Studies have shown encouraging results specifically with pain induced and melacholic depressives. While other studies have shoen that Symbal (Duloxetine) can also be effective in the treatment of urinary incontinence in women. Tegretol, more commonly known as Carbamazepine. 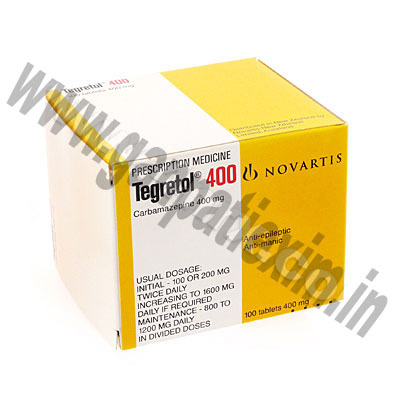 Tegretol CR (Carbamazepine) is used in the treatment of seizure disorders, including certain types of epilepsy. It is also prescribed for trigeminal neuralgia (severe pain in the jaws) and pain in the tongue and throat. In addition, some doctors use Tegretol to treat alcohol withdrawal, cocaine addiction, and emotional disorders such as depression and abnormally aggressive behavior. 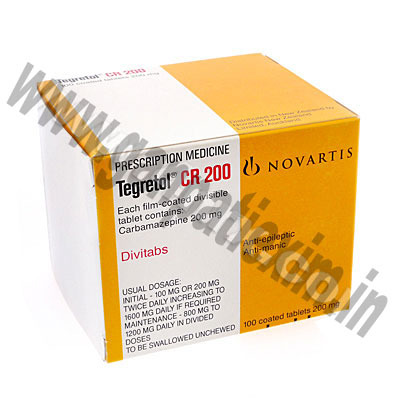 Tegretol CR (Carbamazepine) is also used to treat migraine headache and \\\"restless legs.\\\"
Trazalon (Trazodone) used for the treatment of depression; however, it is sometimes prescribed as a sedative, and it also is used in combination with other drugs for the treatment of psychiatric conditions. Trima (Mocolobemide) is an antidepressant drug of the reversible inhibitor of (MAOI) Monamine Oxidase Inhibitors. It is used to treat depression and panic. 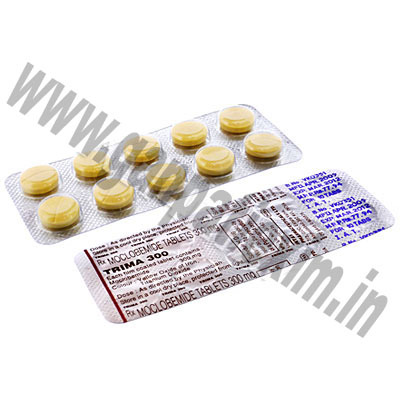 Trima (Mocolobemide) is commonly used when other antidepressants have failed to have an effect. Tripress, more commonly known as Trimipramine. 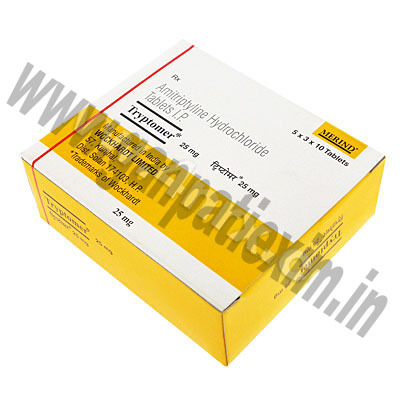 Tryptomer (Amitriptyline Hydrochloride) is a tricyclic medicine that was once widely used as an antidepressant before being replaced by newer antidepressant medications with better side effect profiles. 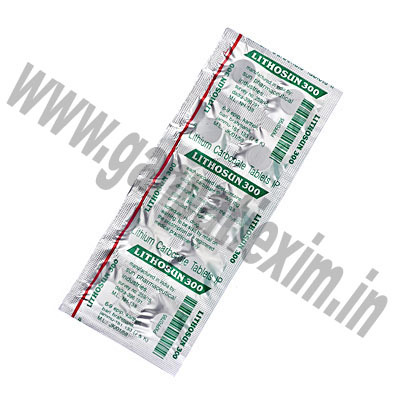 Other uses of Tryptomer (Amitriptyline Hydrochloride) include the treatment of insomnia, enuresis and chronic pain syndromes such as fibromyalgia. 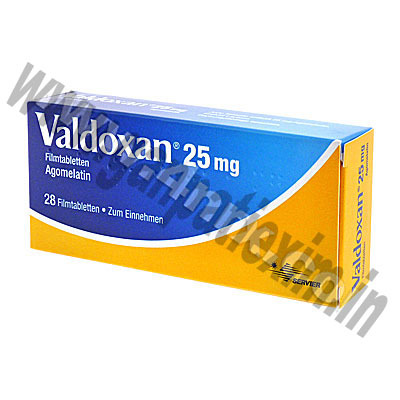 Valdoxan (Agomelatine) is the first in a new class of antidepressants called melatonergic agonists. This novel approach to treating depression has many advantages over current treatments. Valdoxan not only works effectively as an antidepressant, it has been shown to improve sleep/wake cycles without causing daytime sleepiness. Additionally, it doesn�t appear to have the side effect of loss of sexual desire or problems with stopping the drug (discontinuation symptoms) that other antidepressants do. 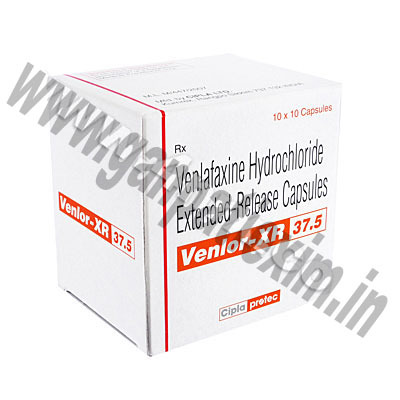 Venlor XR (Venlafaxine) is an extended release serotonin and norepinephrine reuptake inhibitor that uses dual reuptake inhibition, meaning it increases the levels of both serotonin and norepinephrine. Shortages of norepinephrine and serotonin are thought to play an important role in depression and generalized anxiety disorder. 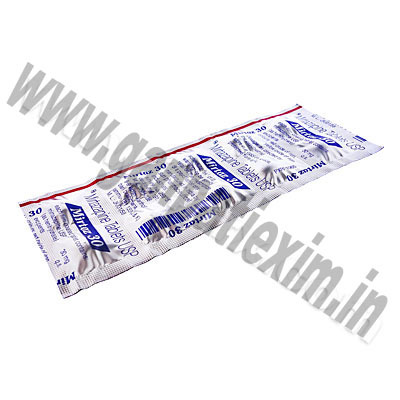 Xet is used to treat depression, obsessive-compulsive disorders, panic attacks, social anxiety disorder, generalized anxiety disorder, and posttraumatic stress disorder. It is a SSRI like Prozac, with continued treatment, it can help restore the balance of serotonin which helps reduce the symptoms of anxiety and depression. 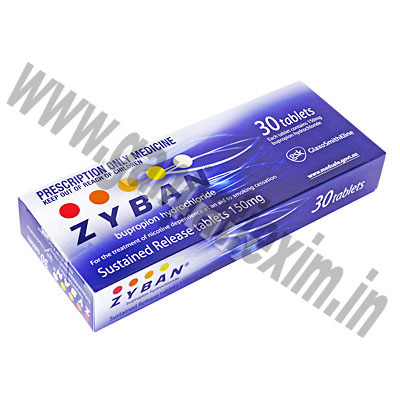 Zyban (Bupropion) contains the active ingredient bupropion hydrochloride, which is a medicine used to help people who are dependant on nicotine to give up smoking. It acts in the brain but is not the same as nicotine replacement therapy. 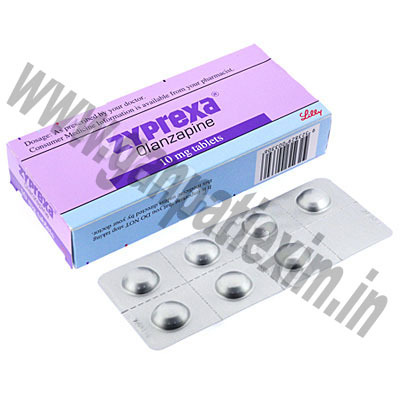 Zyprexa (Olanzapine) is approved for long-term therapy in schizophrenia. It is different from the older generation of antipsychotic medications in the way that it helps control both the positive (hallucinations, delusions) and the negative (apathy, social withdrawal) symptoms. This medication acts to balance two nerve impulses and, by doing so, helps restore more normal thinking and mood. In general, this medication has fewer side effects than standard antipsychotic medications. Zyprexa also seems to help improve the negative symptoms of schizophrenia better than the other classes of antipsychotic medications. 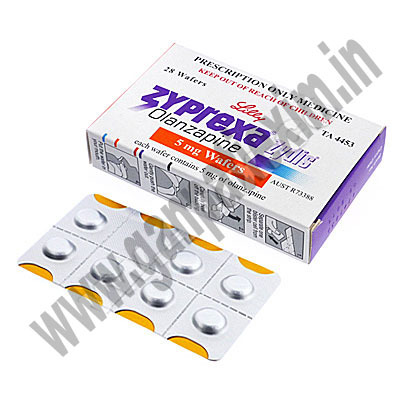 Zyprexa is an antipsychotic drug that changes the interaction of some chemicals in your brain. 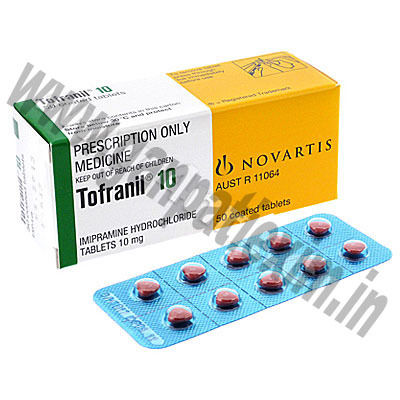 It is prescribed to treat schizophrenia and bipolar disorder. It is also sometimes used in conjunction fluoxetine to treat depression. Zyprexa Wafers is approved for long-term therapy in schizophrenia. It is different from the older generation of antipsychotic medications in the way that it helps control both the positive (hallucinations, delusions) and the negative (apathy, social withdrawal) symptoms.